An original oil painting by Thomas Eyre Macklin. A glorious depiction of upturned boats over looking a harbour with fishermen. A couple, shaded with an umbrella, are painting overlooking the river. 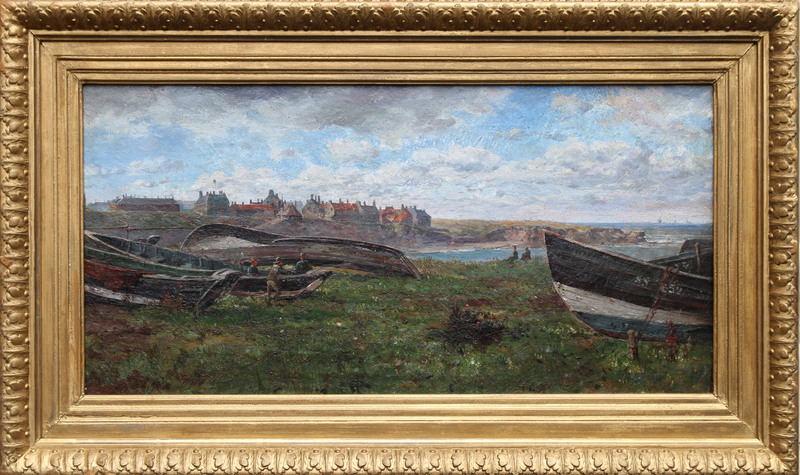 The painting dates to 1900. The location may possibly be North East. Housed in a gilt gallery frame which compliments the picture 25 inches by 15 inches In good condition.